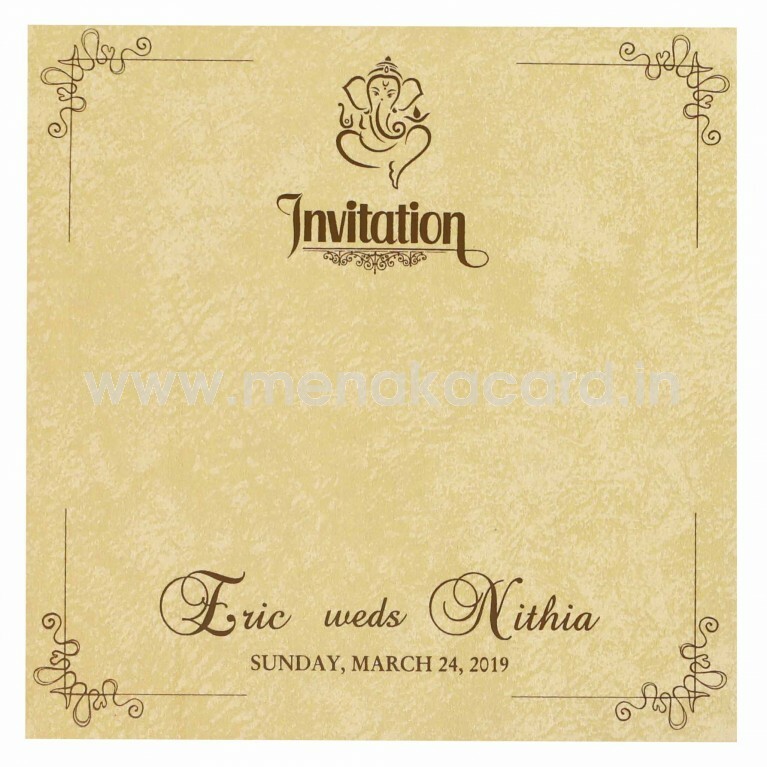 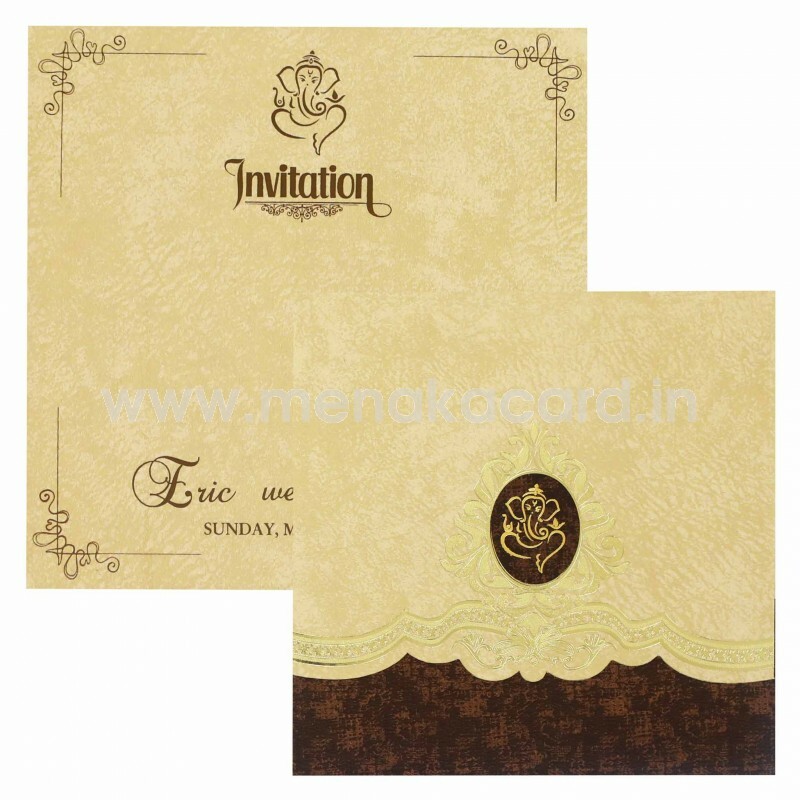 This dark cream laptop folding card is a beautiful mix of traditional design and modern print in the way the gold foil designs on the flap enhances the modern ornate Filigree design Ganesha Logo sticker sitting on it. 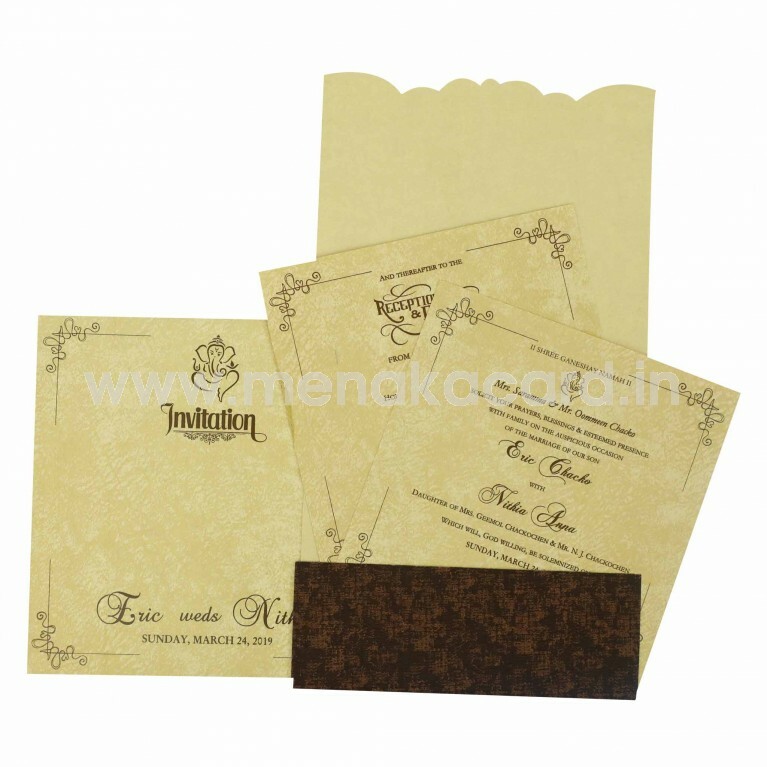 The modern chocolate brown color card holder flap holds two cream inserts made from a matt finish artboard material and has contrasting brown text to match the rest of the card. 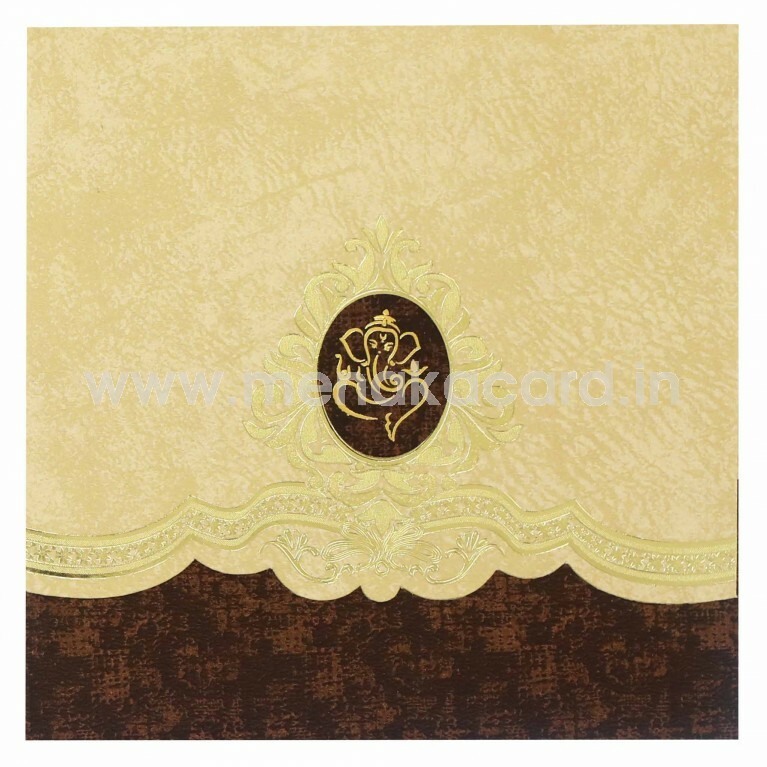 This can be used for Hindu weddings and other Hindu ceremonies like Grahapravesham, upanayanams etc.